Some 74 presenters in 66 sessions scheduled to present, discuss and conduct workshops covering language learning technologies such mobile apps, digital publishing, tools, gaming, virtual worlds, resources, mpedagogy, video, Moodle and much more. Also an AppSwap session, keynotes by Joe Dale, Graham Stanley, Shelly Terrell, Bente Milton, Berni Wall and Geoff Tranter. For the AppSwap participants were requested to add your favorite app to the following google docs (ppt). Share a photo, a screenshot, a website and your name to the page. 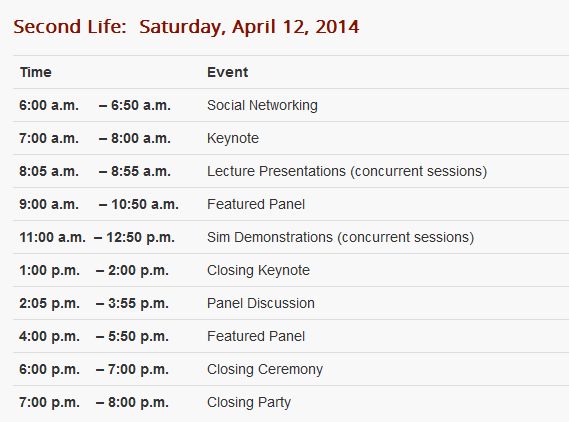 There are several networking sessions in place, designed to give a voice to the audience. Recordings have been published on the program overview (remember to click CTRL and the link to open in a new tab) of Joe Dale’s keynote, the AppSwap BYOD session with Shelly, Berni’s deep insights on building IELTS blended learning courses and much more. Tuesday, April 22nd at 7pm Learning Revolution Keynotes, Don’t miss Carlo Ricci on “Learning and Love,” Howard Rheingold on “Co-Learning, Social Media, Peeragogy, and Open/Connected Learning,” Maria Droujkova on “From Adventurous Learning to Disruptive Innovations: Brave Design in Mathematics Education,” and Mark Treadwell on “The Neuroscience of Learning – A Model for How the Brain Learns.” See the schedule in your local time at http://learningrevolution.com/page/attending-schedule. 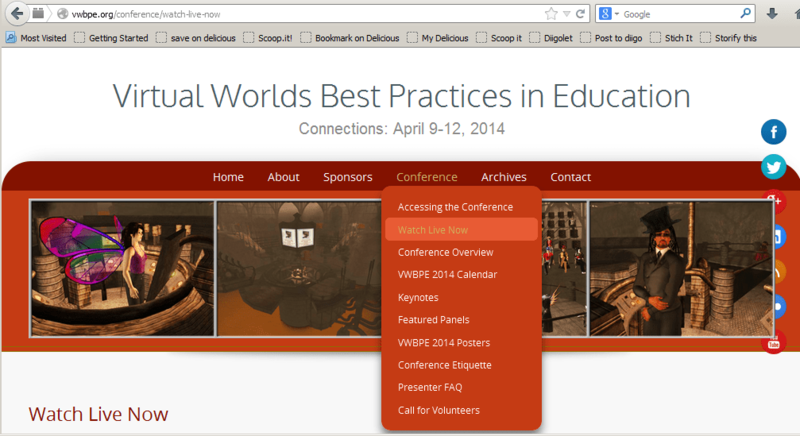 Wednesday, April 23rd at 4pm Free BrainPOP Webinar: Come Play! Mission US: A Cheyenne Odyssey, We welcome Christopher W. Czajka, Senior Director at LAB@Thirteen, the producer of our GameUp title Mission US: A Cheyenne Odyssey. Christopher will discuss how Mission US prompts young players to think critically, make choices, and reference primary sources. He’ll also provide an overview of the accompanying educational resources. Join here. Wednesday, April 23rd at 7pm ISTE – ISTE Standards and the Common Core Integration in Action, Are you daunted by the prospect of implementing the Common Core State Standards? Don’t be! The Common Core opens the door for innovative teaching techniques to ensure students are college and career ready. Join Catlin Tucker to see how she’s successfully blending technology and tradition to teach the new standards in her classroom. Learn how to leverage web 2.0 tools to engage students and teach creative problem solving, critical thinking, and effective communication and collaboration. Leave this webinar with lesson ideas you can use with your students today! Registration and more information here. Wednesday, April 23rd at 7pm Learning Revolution Keynotes, Don’t miss David Loertscher on “The Flat Co-Taught Learning Experience: A ‘Core’ Idea,” Cynthia Mediavilla on “Learning by Doing: Internships and Residencies,” and Bernajean Porter on “Futuring with Story Telling Inspires Communities, Schools and Student Lives.” See the schedule in your local time at http://learningrevolution.com/page/attending-schedule. Thursday, April 24th at 7am Learning Revolution Keynotes, Don’t miss Pat Farenga on “What is the role of the teacher when children learn on their own?” Leonard Waks on “Beyond the University: New MOOC Audiences and Providers,” Stephanie Sandifer on “Mobile Learning Among the Museums of Houston, Texas: A Blended & Personalized Learning Environment Leveraging Community Resources for Improved Learner Outcomes,” Jackie Gerstein on “SAMR as a Framework for Moving Towards Education 3.0,” Steve Wheeler on “Students Driving Change: How Learners are Making the Difference in the Digital Age,” Roger Schank on “Out with the Old and In with the New: A Plan for Redesigning High School so that it is Fun and Useful,” and Michael Strong on “Creating Great Educational Communities.” See the schedule in your local time athttp://learningrevolution.com/page/attending-schedule. Thursday, April 24th at 3pm Rethinking Lesson Design with App Flow & Digital Citizenship: A Whole-Community Approach, Common Sense Media presenter, Kelly Mendoza, will deliver two great sessions at the free, online Learning Revolution Conference. 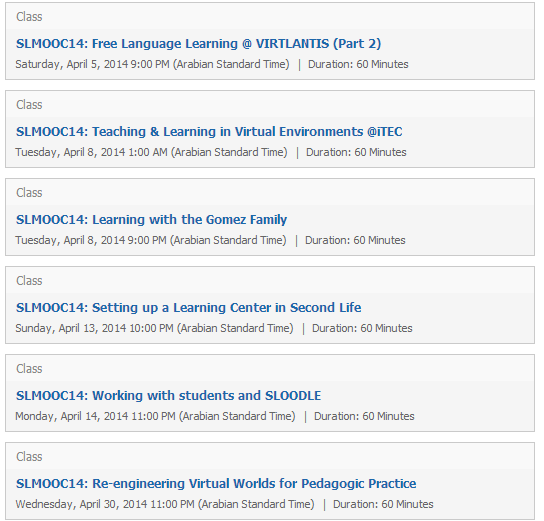 See the schedule in your local time athttp://learningrevolution.com/page/attending-schedule. Friday, April 25th in Denver, CO Making a Better World: Digital Citizenship & Literacy for K-12, Empower youth to be in control of their online lives by teaching them digital citizenship using Common Sense Media resources. The K-12 Digital Citizenship and Literacy curriculum includes lesson activities, student videos and interactive assessments…More information and registration information here. 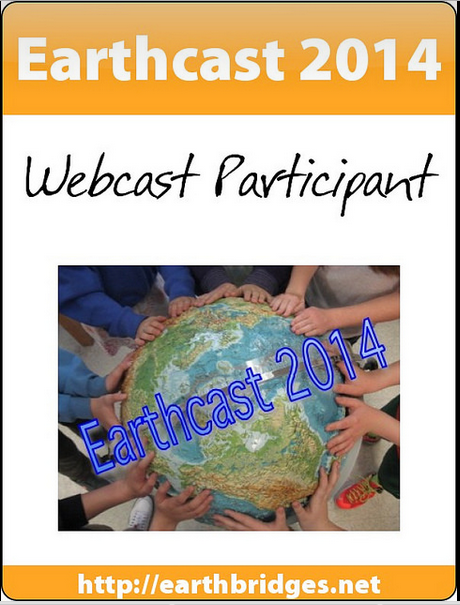 This Earth Day preview was planned as a 1400 GMT webcast coordinated from Korea by veteran MC Jeff Lebow and in UAE by Vance Stevens. 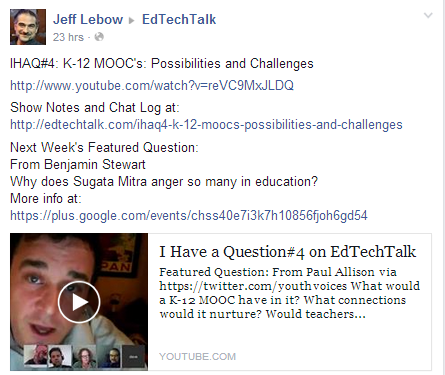 Those interested in Earth Day Educasts were invited, and in the meantime we talked to Jeff about the new initiative of EdTech Talk, I’ve got a question. 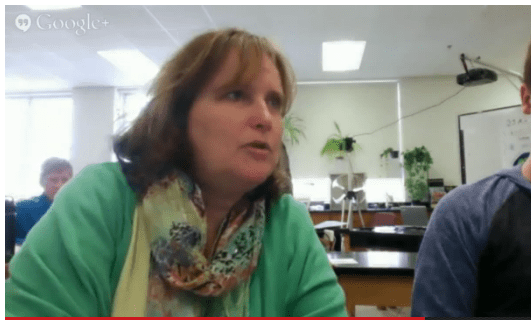 Please plan to join Henry Ingwersen, Amy Loeffelholz and Wesley Fryer on Thursday, April 17th at 4:30 pm Eastern / 3:30 pm Central / 2:30 pm Mountain / 1:30 pm Pacific online (via a Google Hangout) to talk about STEM lesson ideas and ways to engage students through STEM learning. Henry is an elementary classroom STEM teacher in Wells, Maine, and maintains a blog about some of his classroom STEM lessons. Please tweet about this event using the Twitter ID @STEMseeds and follow @STEMseeds. Saturday, April 5th at 12pm CR20 LIVE Weekly Show with Erin Klein, We are so excited to have Erin Klein as our Featured Teacher! Erin is a 2nd grade teacher in the Cranbrook Educational Community, Bloomfield Hills, MI. She will be sharing some of her fantastic classroom projects and teaching ideas in this inspirational, jam-packed show. Besides her amazing student-centered classroom Erin is an education technology expert and a master of project based learning. In her blog, Kleinspiration, Erin shares strategies and tools to help educators create transformational schools of the 21st century. Classroom 2.0 LIVE is an opportunity to gather with other member of the community in regular “live” web meetings. Details to join the webinar athttp://live.classroom20.com. Follow us on Twitter: #liveclass20. More information about this and other upcoming events at t http://learningrevolution.com/.